A set of fly macro shots. 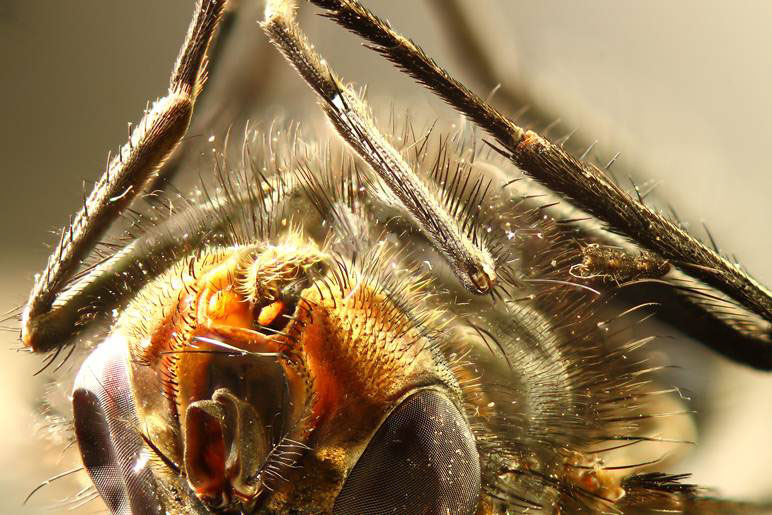 A set of Macro Photos of a fly. Canon 600D with extension rings, or a nikon microscope lens. Here the fly was shot on a specially designed cooling plate (see bottom), and this kept the fly at a temperature of 1-2 degrees for photographing. This enabled the fly to be immobilised for an indefinite amount of time in the same place, without it being displaced by a fire extinguisher. 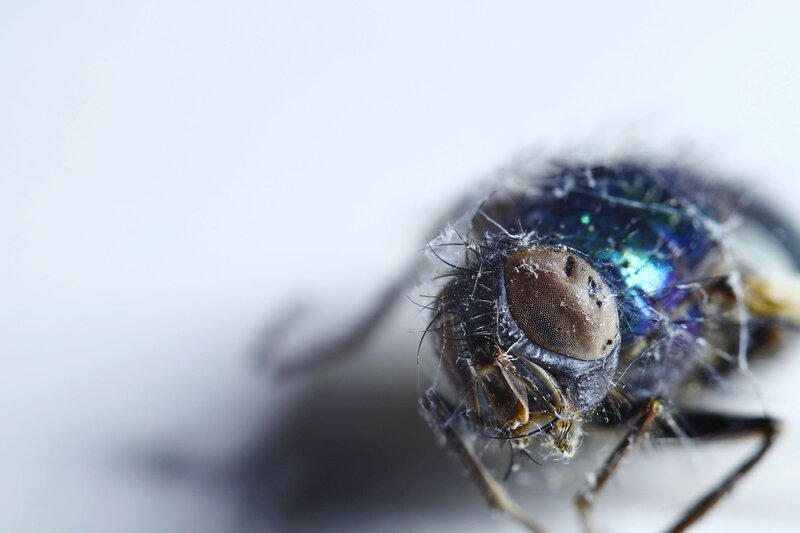 The fly in this shot was cooled with a fire extinguisher, and Carbon Dioxide. It was placed on ice to immobilise it. A torch was used for illumination, and it was then stacked in zerene. Below was shot on paper, with the built in camera flash. 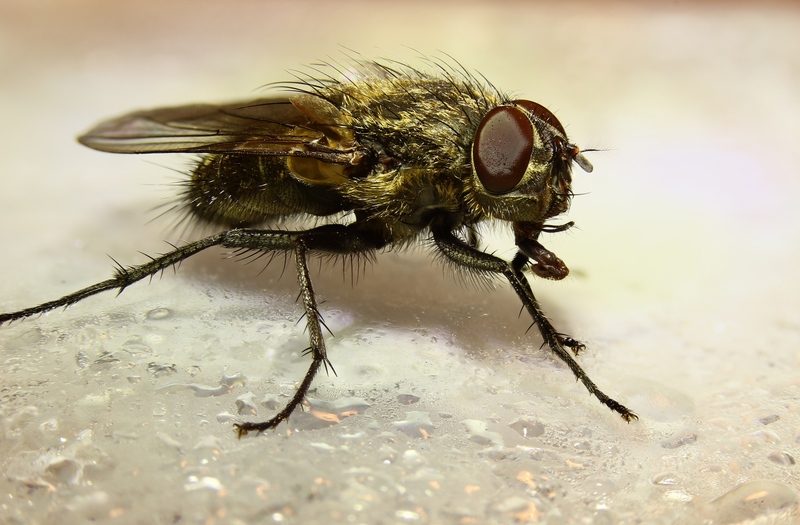 Due to the lack of need for immobilisation, a dead fly can be photgraphed closer up. This quality is slightly degraded by the use of a nikon microscope lens, inferior to a large macro. 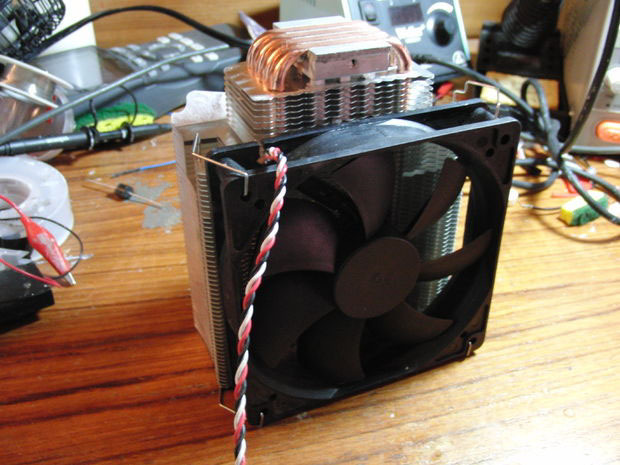 A setup nearly identical to the following, with two peltier coolers and a Cooler Master V8 was used for the first photo.